One of the biggest problems of our generation is the severe lack of living space. Unless you’re lucky enough to live out in the sticks or worked your backside off to buy a house with more storage space than an under-the-stairs cupboard, you’ll feel my pain. Many of us, particularly in cities, are now faced with the choice of being able to eat more than beans on toast or live in an apartment the size of a shoe box. Homes are getting smaller due to both lack of space and increased living costs, and that brings with it the challenge of creating rooms that are bright, airy, modern, fresh and fun without overcrowding them with stuff we don’t need. 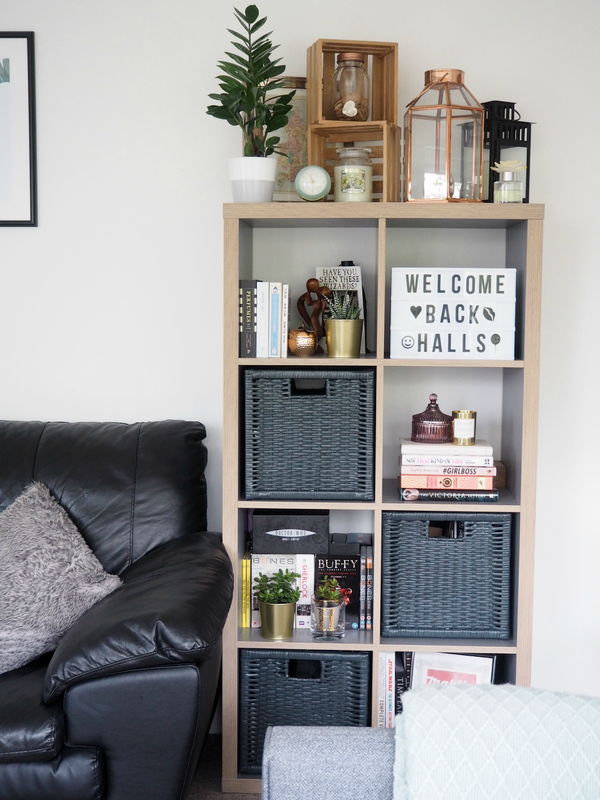 Having spent the last ten years living in flats, I’m more aware than most as to the struggles these living solutions bring; I’ve learned from my mistakes as to what makes a home and what just makes a mess! bright. 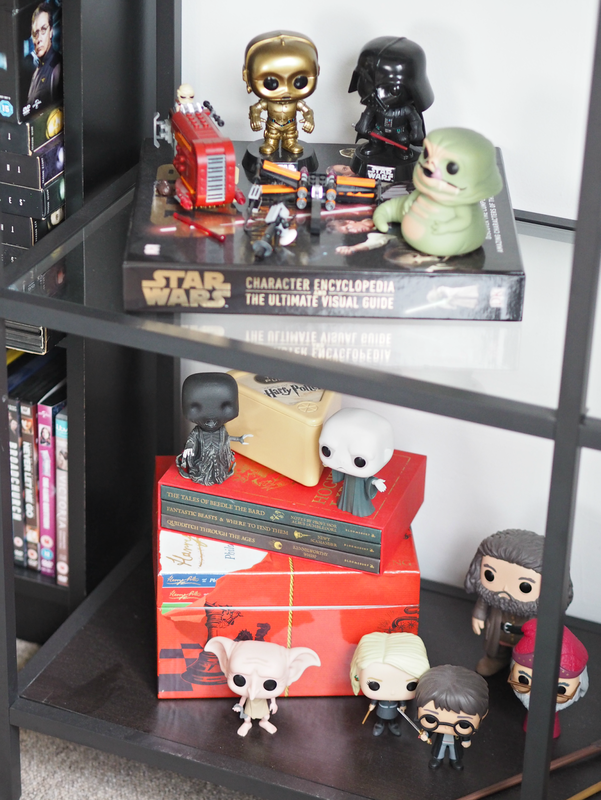 It’s also helpful to make your stuff into a bit of a feature too, displaying it beautifully with books and candles so it feels like an intentional mismatch of pieces you love. The most important part of any living room, the sofa is where the magic happens. It needs to be comfy and stylish, a classic style and colour that won’t date, plus fit into the space perfectly without taking up too much room. 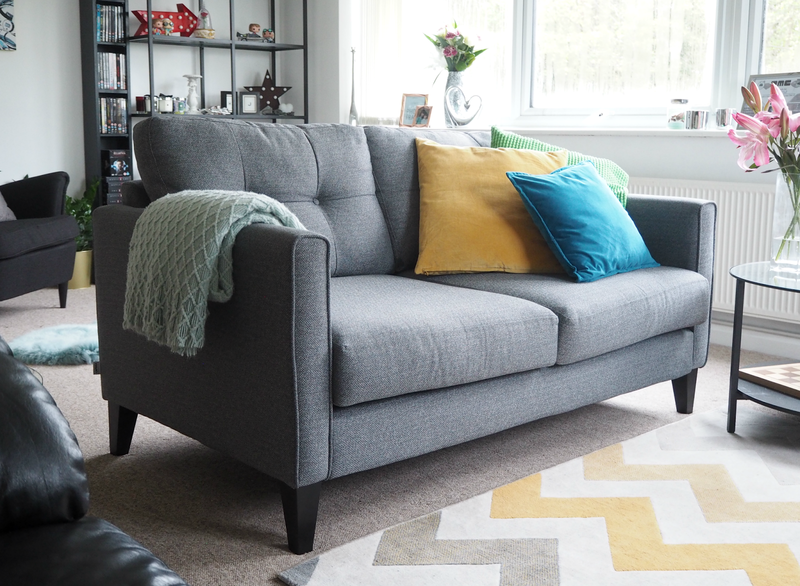 When I moved into my previous flat I was dying to have a corner sofa, but due to the limitations of the space I just couldn’t find one to fit – they were all far too big. If only the DFS Capsule collection existed back then, because they offer a great selection of sofas that have been specifically designed to offer the same comfort and style as the main collection but around a third smaller. 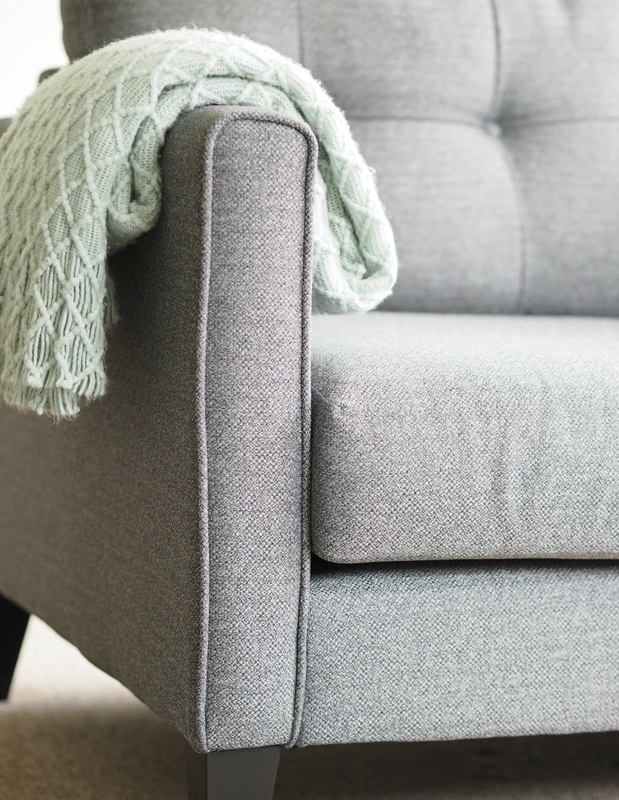 And yep, there are some gorge corner sofa solutions! Gutted. However, my new Bask sofa works perfectly with the space we now have in our new flat and really helps to break up the room while offering all the seating we need to keep our guests comfy. 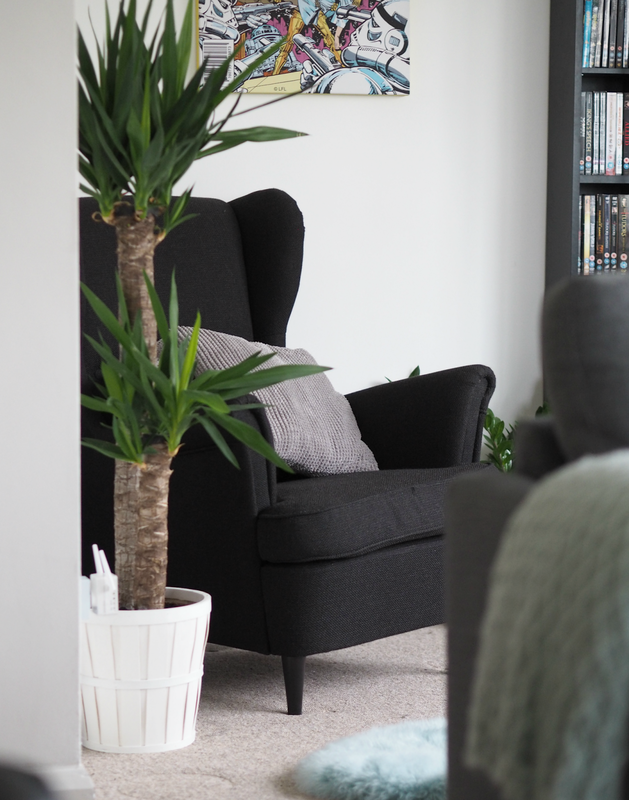 The shape is modern and simple, the size perfect for the space we have, and the colour a timeless shade of charcoal that goes with everything; a regular sized sofa would have been too big and clunky, but this slips in perfectly without taking over the room. It’s super reasonably priced at £499.00 too! 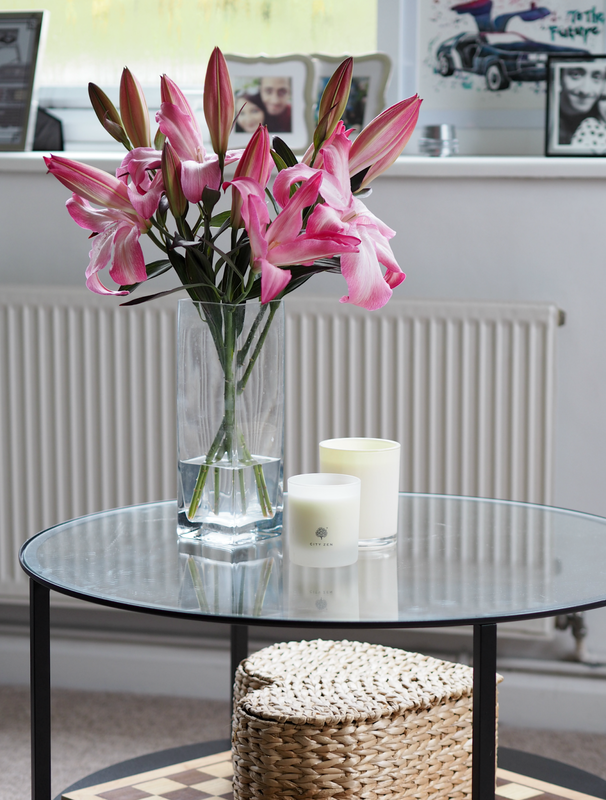 One of the biggest mistakes I made in our previous flat was to adopt a black and white colour scheme; everything was either black leather, metal or canvas, while most of the accessories were either white or glass to match our metallic fireplace. Although it sounds great, practically speaking it left the living space feeling cold and soulless. This time around we deliberately chose to inject a missmatch of colours and fun shades to brighten the space and make it feel homely, without it being kitsch or fussy. 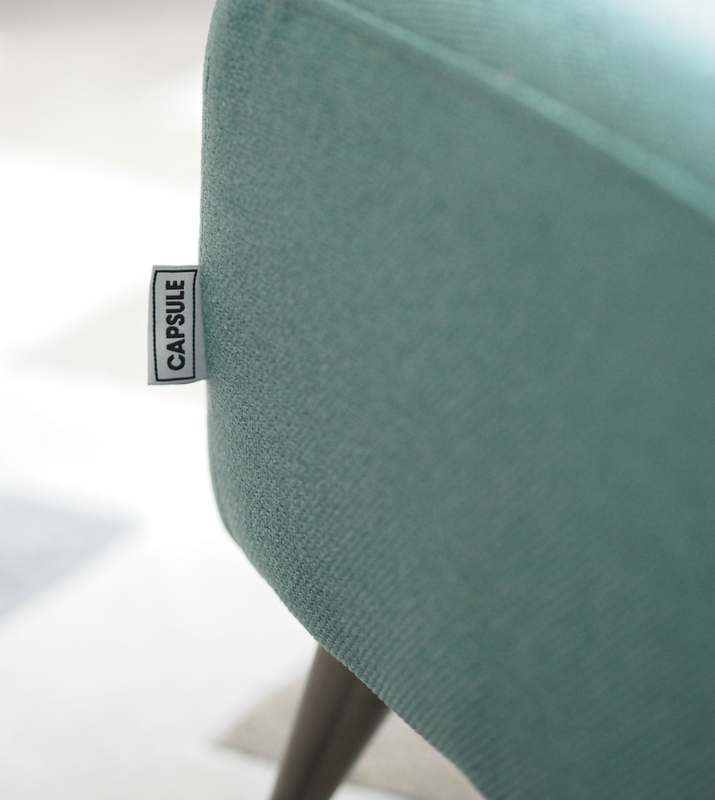 Using a combination of green, turquoise, yellow and grey we’ve created a space that doesn’t hurt the eyes but feels really happy; that’s all you can ask for! Keeping the lines simple and clean helps the room remain bright and modern too – everything is very square or angular, whether I intended it at the time or not, and it helps all the pieces to feel like part of a whole. 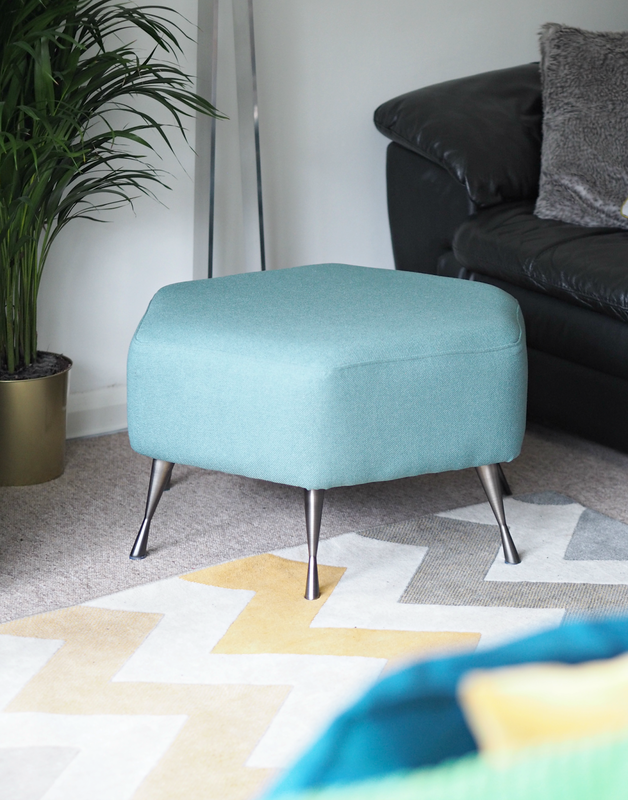 My favourite thing right now is my new Hexagon Footstool from DFS which is just effortlessly cool, brightens up the dark shades of our sofas and is just the right height for popping my feet up at the end of the day! What a difference a well placed picture or rug can make. 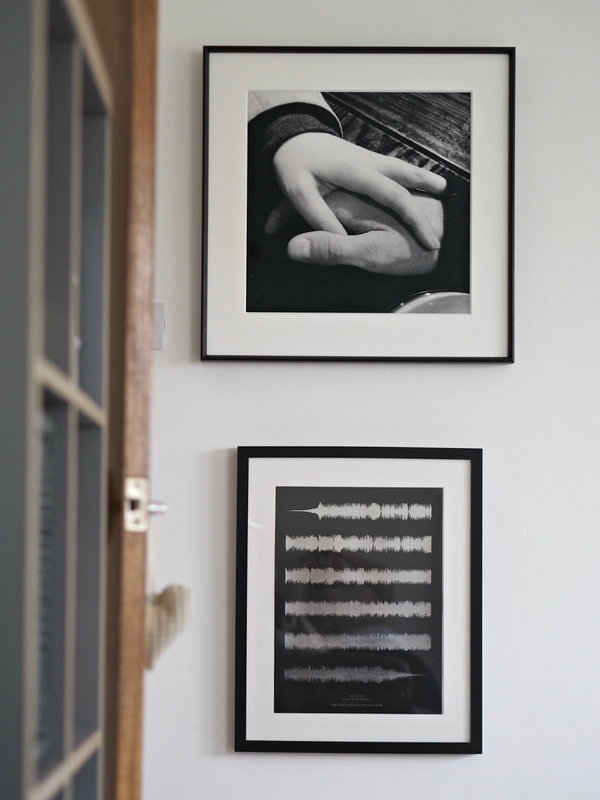 The potential of floor and wall space shouldn’t be underestimated, especially in rented accommodation where you’re limited by what you can actually do. 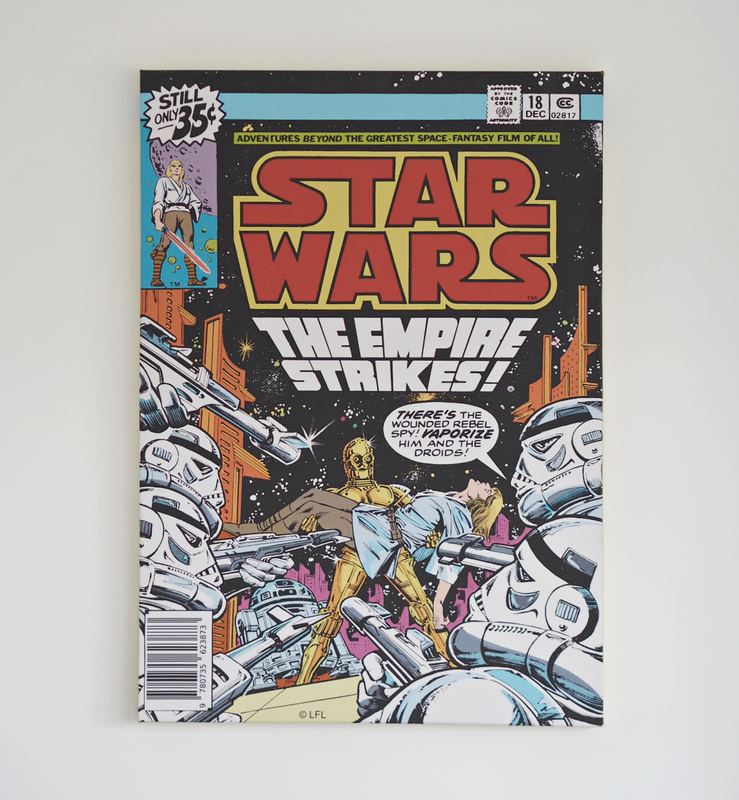 Pictures can help to make the room feel more personable (we love Sci-Fi so have everything from Star Wars comic art to the Back To The Future theme tune soundwaves on our wall,) while a great rug can help to conceal an otherwise dull carpet and bring the tones of the room together. 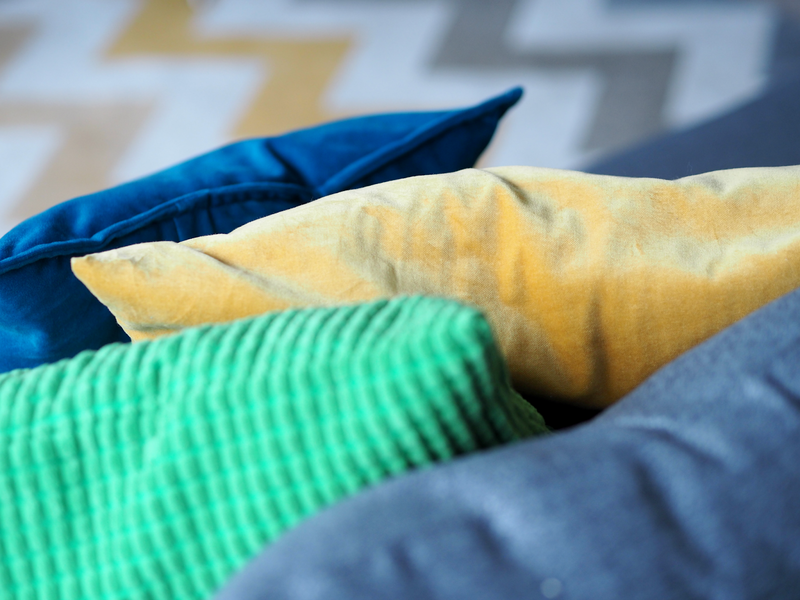 You can get some great ones without spending a fortune (our turquoise fluffy one was from Dunelm, while the yellow toned geometric number was cheap as chips from Benuta!) 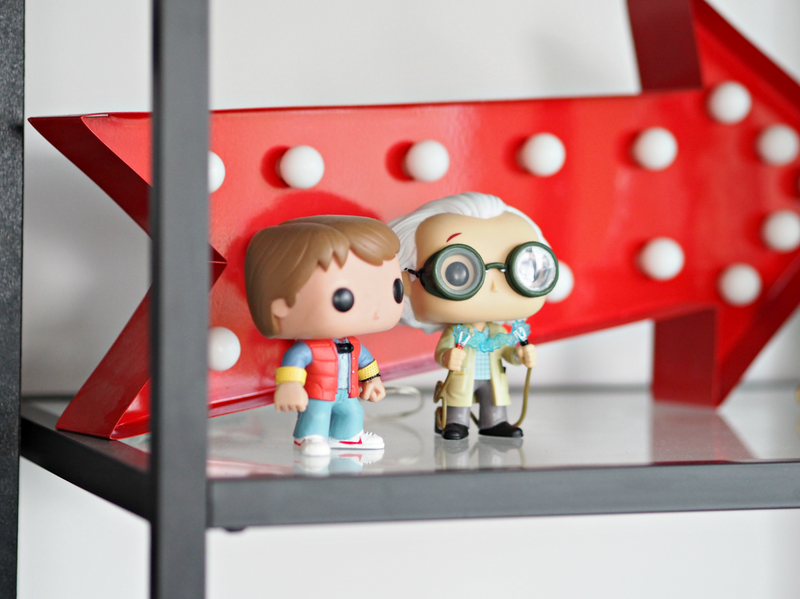 and they really do make such a huge difference to the space. 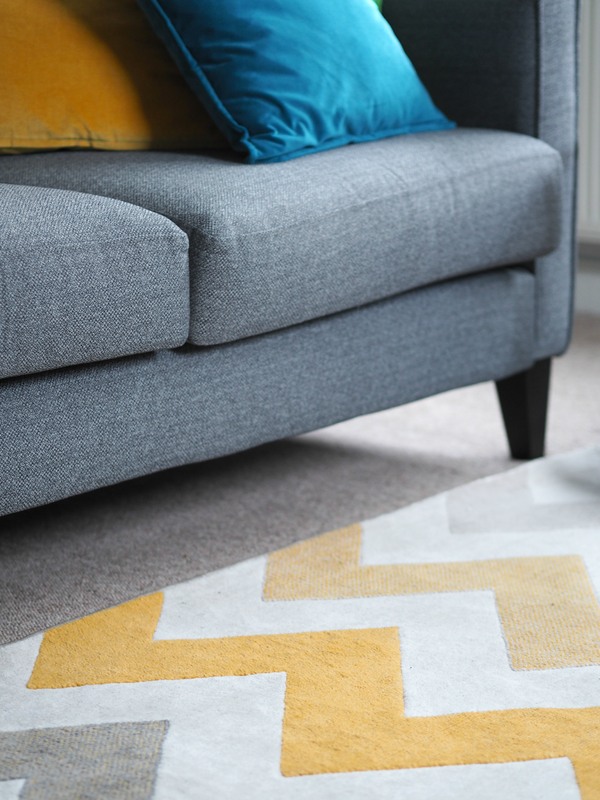 Popping them in front or under your sofa instantly makes it more of a feature and helps to frame the seating area, while they look fab in overly empty spaces that need a little something-something. While growing up I used to take the mickey out of my mum for making us live in what seemed like a greenhouse; there were plants on every surface and in every corner, but it’s taken me the best part of twenty years to understand why. 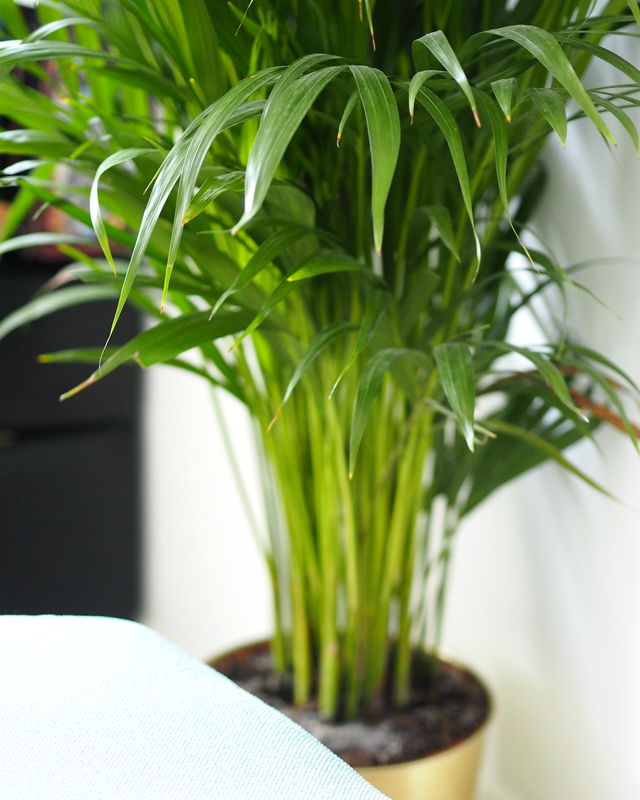 Greenery instantly makes a space seem more homely, injects some life and vitality while also being a cheap way to fill an empty area. I’ve become a bit obsessed with big plants, mini trees and succulents as a way of breathing life into space – figuratively and literally. 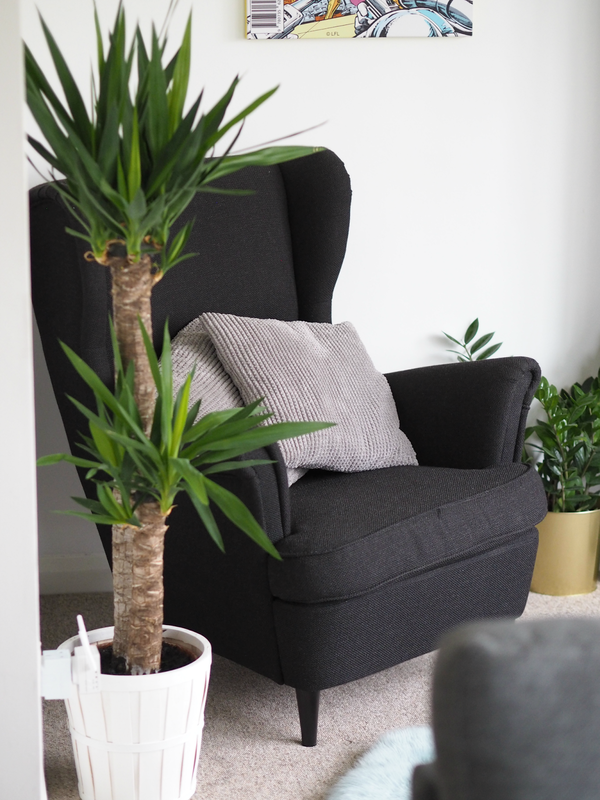 IKEA have a huge range of beautiful plants at incredibly reasonable prices, which you can pop in a corner that needs filling with anything but clunky furniture. 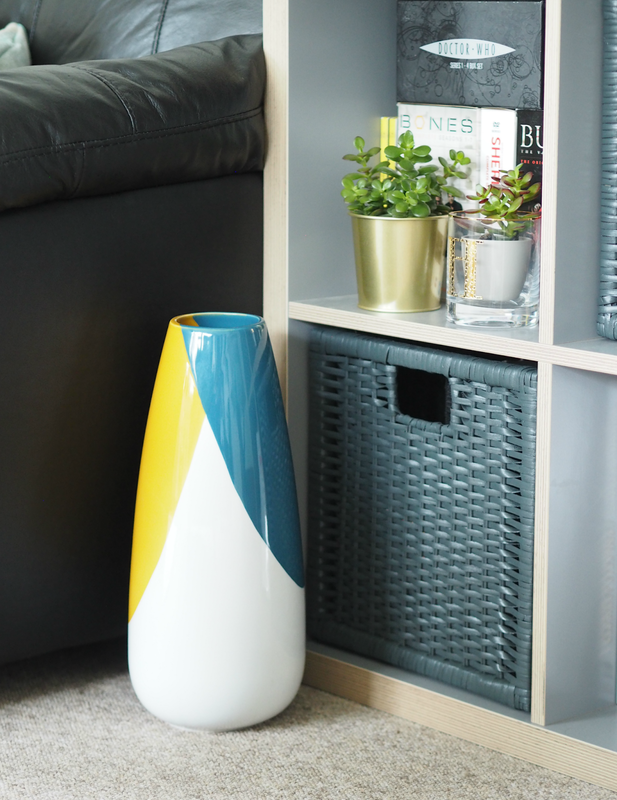 If you need a bit more colour then investing in some stylish plant pots can really make the world of difference too, plus they’re an easy and cheap way to update the room when you’re feeling bored. Although I’m by no means a home expert (far from it!) I’m learning and enjoying discovering what makes a room feel like it has heart and soul, while making the most of the space that I have. 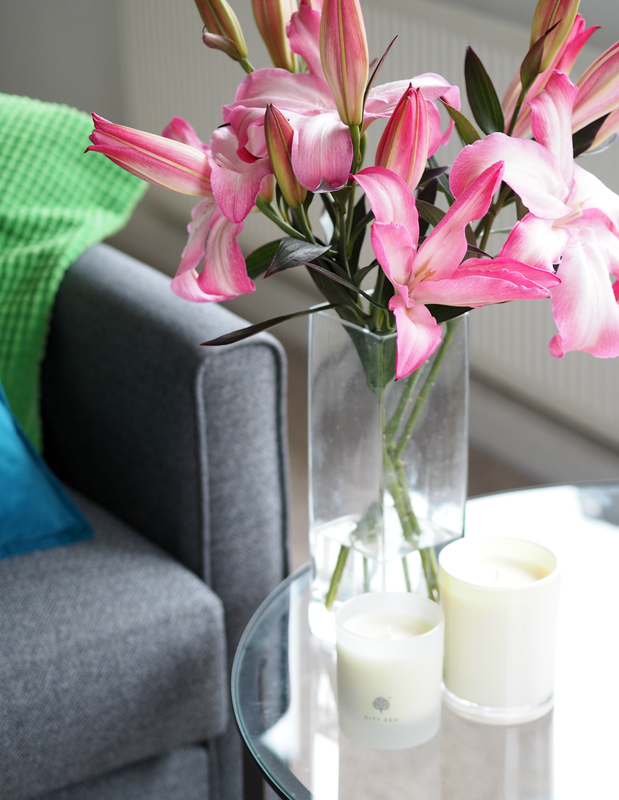 Small changes, wise purchases and a sprinkling of colour can make the world of difference. 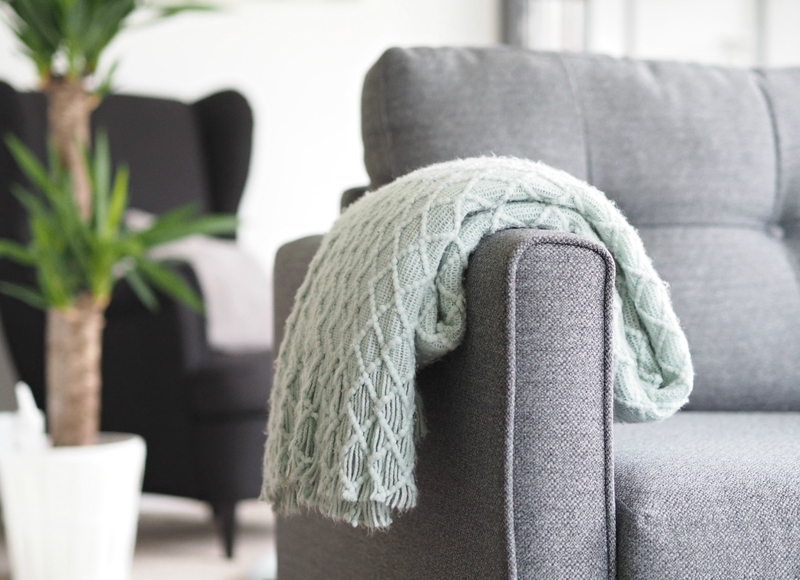 I hope you’ve enjoyed the little look inside my home; it’s really hard to capture the spirit and feeling you get when snuggled up on the sofa (who knew rooms were so hard to photograph?!) but you can imagine the rest I’m sure! 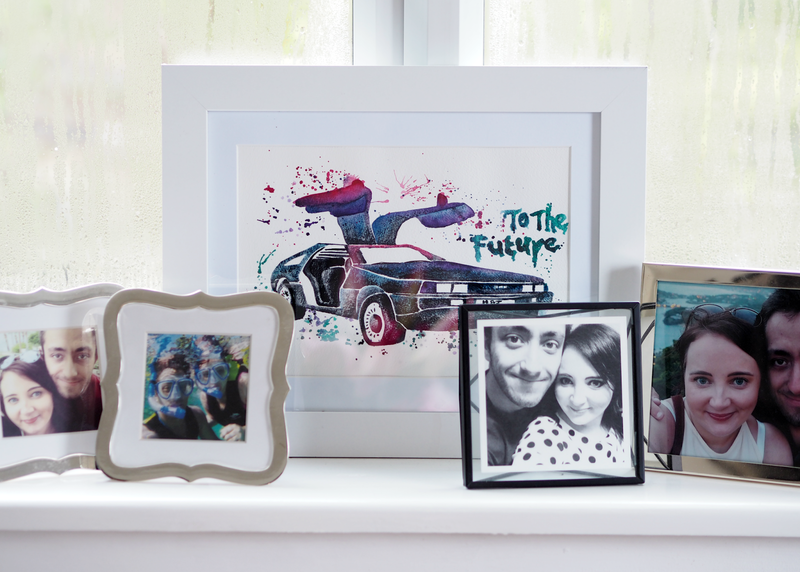 How have you made your home your own, especially if you have limited space like me? Check out the DFS Capsule collection here. 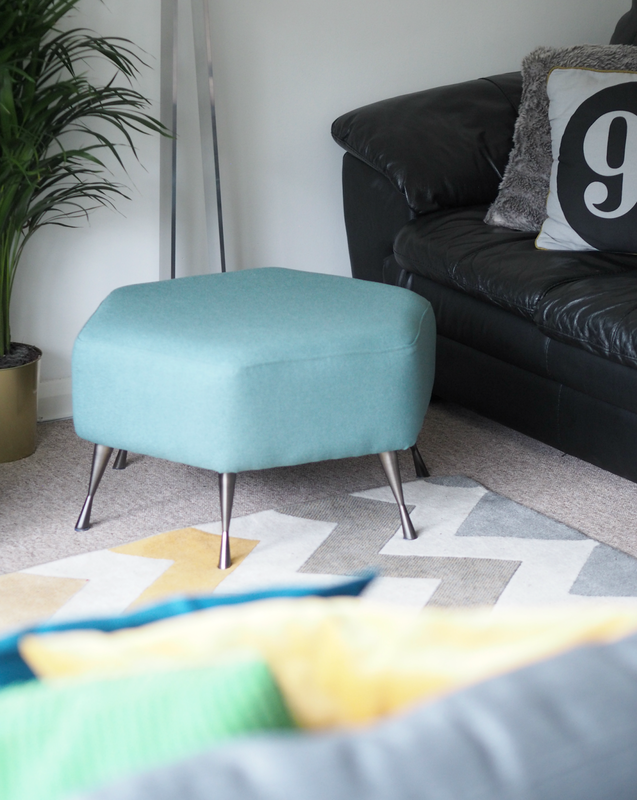 This isn’t a sponsored post, but I was provided the Bask Sofa (£499.00) and Hexagon Footstool (£149.00) for free to style up my small space. I’m always happy to bring you top tips and things I love regardless, of which these are definitely one; opinions are always my own! What a lovely home! I have a Black and white theme at home but with a touch of pink. But I would love to be more bold and maybe add a bit of red! Lovely post that have me some inspiration! I'm glad it's given you some inspo! I think if I went for pink my husband wouldn't stop complaining (!) so this is a good middle ground that's a bit fun too. Yes please! Let me know the link! Thanks Charlotte! 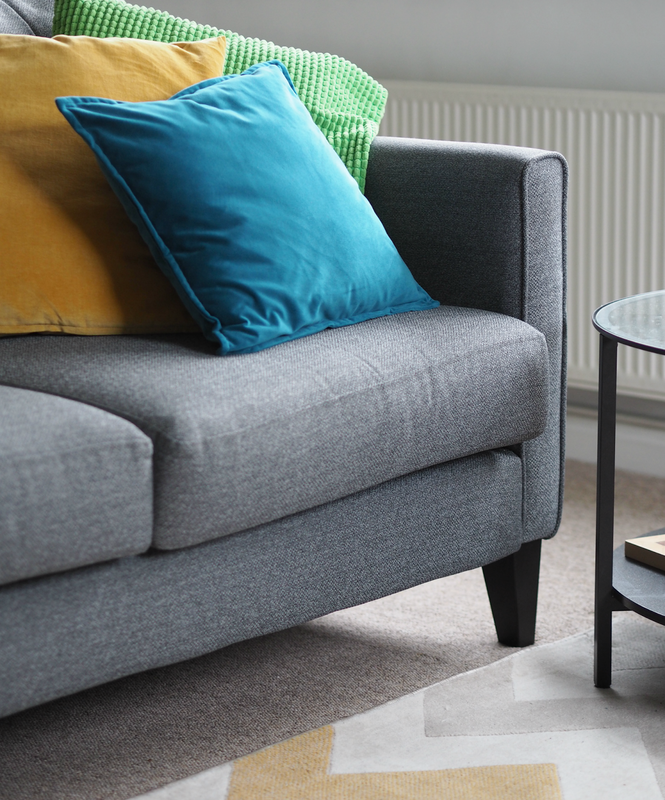 I think corner sofas are such a great idea, but most are blooming huge – it was nice to see the DFS ones being much smaller and suitable for flats. 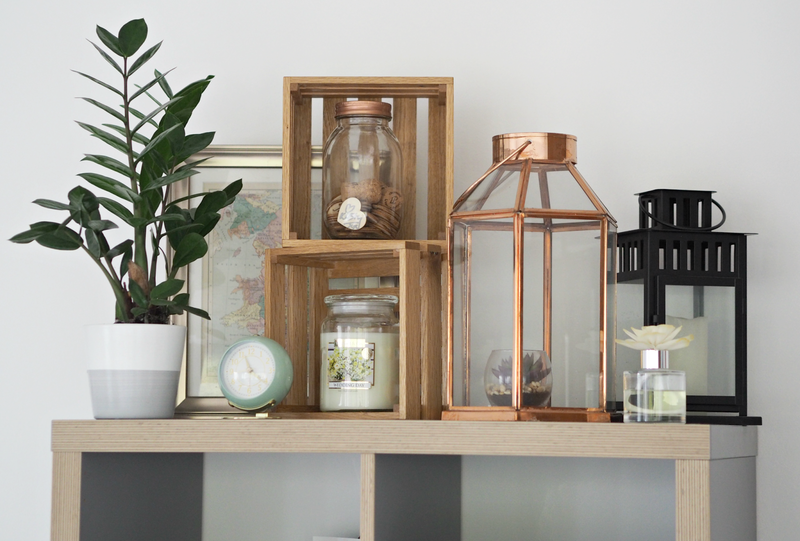 Love how you styled your living space! It has a light and airy feel about it. I agree with you about a black and white scheme looking clinical, but just add an injection of colour and/or texture and it can be so different. We have black leather sofa and chairs, but colour in the soft furnishings, and wooden furniture (walnut) and floors (ash). I love to change things around, so I have three sets of mix and match cushions covers, autumn/winter, spring/summer and Christmas. A fairly cheap way of ringing the changes, and they don't take up too much space when not in use.